This is one of those assumed myths – you hear it, it’s pretty easy to assume it’s true – that keeps getting repeated by people with perfectly positive and upright agendas, but agendas none the less. Native plant nurseries will state in their catalogues and on websites that if you want to get serious about attracting birds, bees and butterflies to your garden, plant natives. In truth, any cultivated (“hybridized”) variety of plant that uses a berry or a flower to attract birds, bees and butterflies is at least as attractive to them as its native forefather, and often more so. Modern hybrids in the form of perennials and shrubs typically bloom more profusely, and for longer periods of time, than their native counterpart. And for many insects, particularly honeybees, it’s all about the bloom. Honeybees don’t care if the plant they are drawing nectar and pollen from is a native or some high falutin’ fancy new perennial variety developed by a solemn plant nerd in Singapore. The nectar and pollen are just as essential, and beneficial, to the bees. The exception is when planting milkweed (Asclepias spp.) for the benefit of Monarch butterflies. Here, it is very important to plant the Asclepias species native to your region (often there will be more than one). Click this link to Monarchwatch.org and it will tell you which milkweed plants to grow in your region that are most beneficial to Monarchs. 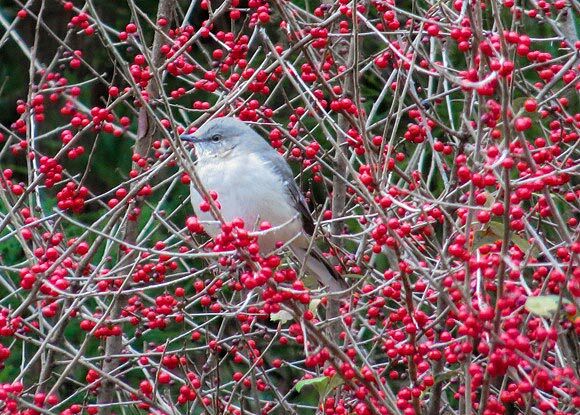 When it comes to attracting birds, birds are attracted by berries. They’re a major source of food for them, and they will gorge themselves on the berries of the cultivated Viburnum variety ‘Blue Muffin®’ as readily as they will dine on the native Viburnum lentago (Nannyberry). When it comes to trying NOT to feed deer, sorry, I’ve got nothing for you. Deer don’t care if the young budding flower, tender leaf or the branch of a plant they’ve sniffed out is a native or a cultivated hybrid variety. If they’re hungry, they’ll eat it.